This quote is from another one of my favorite classic authors of all time. I fell in love with his novel “The Picture of Dorian Gray“, and I later read his play “The Importance of Being Earnest” as well. Both revolve around the themes of vanity and superficiality, which send a powerful message about how we see ourselves and others. I chose this quote today (well, for every day, actually) because it’s simply true. As an individual, we all start off in this world as the energetic, lively child that we see on the streets. The ambitious boy aspiring to be the next man to step on the moon, that dreamy girl wishing for her own country house to train horses (that was weird). But as we get older and closer to ‘reality’, I feel that we tend to forget those dreams because they’re so idealistic, instead of realistic. So we let go. And to me, that’s the biggest mistake that we can make. I don’t think that I am just here to exist. To go to school, get a job, meet ‘the love of my life’, marry, settle down, and maybe have kids. On the one hand, most people in this world don’t have the lifestyle that you and I may have, for instance. I feel extremely lucky to feel safe everyday, and to live so comfortably. To not worry about financial issues, to know that my parents are putting my education as their 2nd top priority (after health, of course). But most people aren’t born with such benefits. And so they have to spend the rest of their lives surviving, making a living for themselves and their families. To me, that is merely living and giving your service to your loved ones. And it’s a great duty. So as the woman that I am today, with so many opportunities that are yet to come, yes – I have my aspirations. I feel that I have merely existed most of my life, and lived only a little. That is because up until now, my whole life has always been planned for me. I rarely have a say in what I really want to do (because up until now, I’ve been a child, so) but it will start being different from now on. I have aspirations. I dream of impossible things that I will probably never attain in my life, and I’m not talking about materialistic things. I’m talking about that self-fulfillment that I will seek in my education, my career, and anything and everything I do. But there’s also something else I want to do – help others live their lives too. What’s the point of living if you’re the only one doing so, while consciously knowing that others are merely existing? 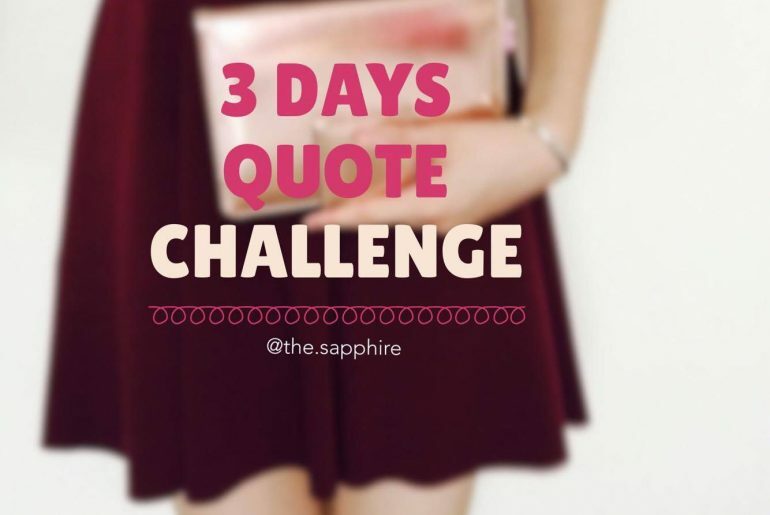 As this is my last day of the challenge, I ask – to all of you that are planning to take on this challenge too – to write why you choose each and every one of your quotes. It will really help you understand what you’re thinking.